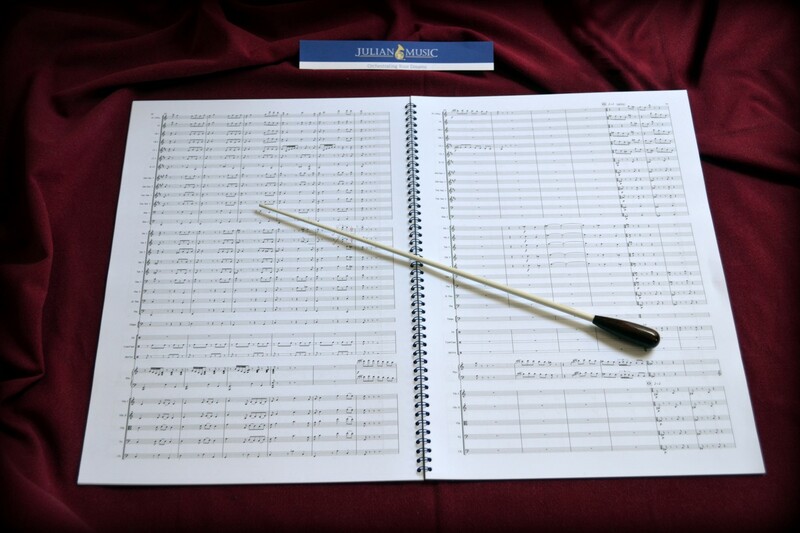 Chris has included many of his wind band, brass band and orchestral arrangements in the JULIAN MUSIC Catalogue. We can create new arrangements of existing works suitable for any combination of instruments you choose. When you have approved the draft with us, we will complete any alterations you suggest and extract single instrumental parts from this working score and edit those for performance. You will get one copy of each part – printed on A3 folded into booklet form – as part of the deal. A final Score and Parts will be printed and sent to you, or if you prefer, we can email you PDF or MIDI files. As well as copying your hand-written or printed score into our system, we can also create notation from unwritten music sources such as CD backings and older vinyl LP records with no notated references. This is done using aural perception techniques – so it can take longer to complete a short section of scored music. 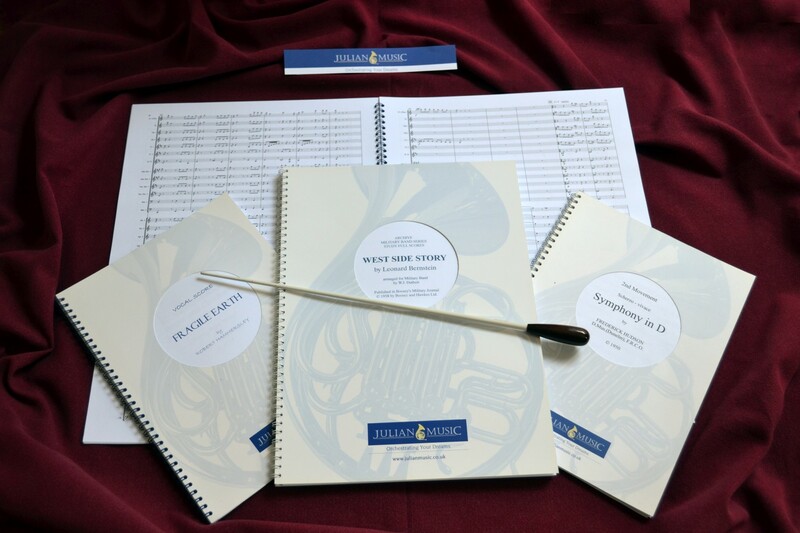 In all cases, you will receive a full score and a single set of parts for rehearsal and performance of the music you want. Scores are generally printed double-sided on A4 or B4 sized 100 gram brilliant white paper and wire bound with blue spirals and card covers and backs. Parts of 2 or more pages are printed on A3 folded 100 gram brilliant white paper. Parts containing more than 4 sides are set out in ‘booklet form’ with carefully edited turn-overs on odd numbered [right-hand] pages. Any part of 40-60 bars or less can generally be fitted onto a single-sided A4 sheet. Please contact us to discuss any of the above services.